Episode recorded on July 2, 2015. – Anna Dress out of Michael Miller fabric from his Stitch Circle Collection, in the Jewel colourway. I mention a fix for the gaping back. Ginger Makes wrote a tutorial for it. – Blackout curtains for my daughter (because her shutters weren’t blocking out the light enough). 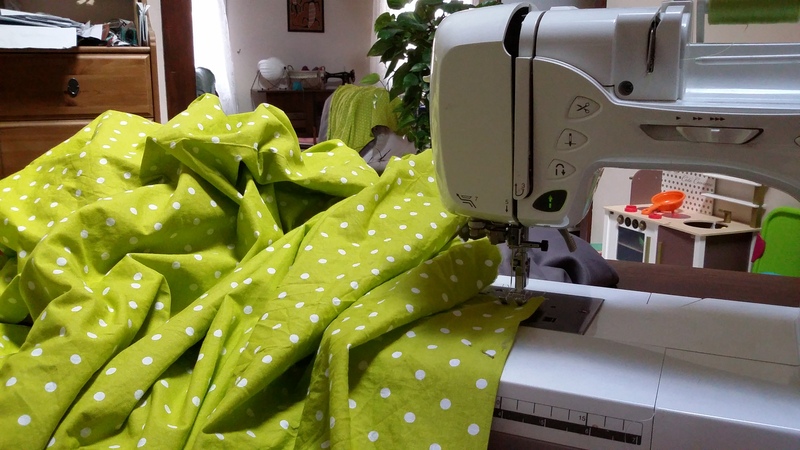 – Project bag as a prize for the 600 members giveaway. 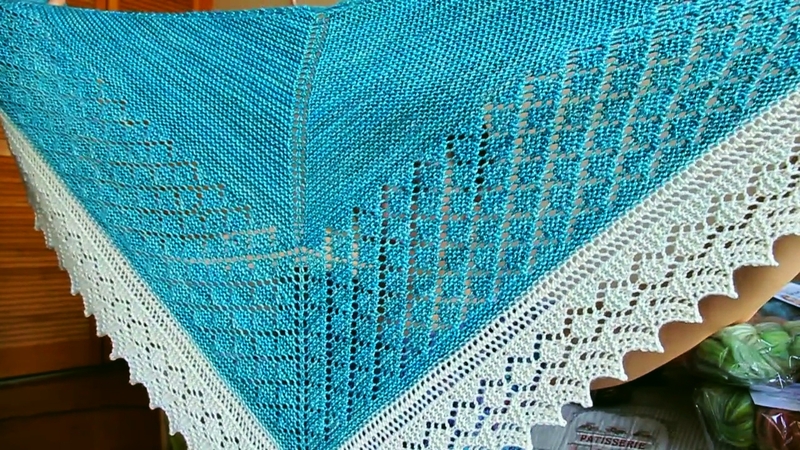 – I finished the Lattice Shawl by Maria of the Stitched in Sweden Podcast, out of HandMaiden Fine Yarns Casbah sock in the Waterfall colourway and Drops Baby Merino. – I started the Lobelia Cardigan by Meghan Fernandes, out of Pompom Magazine issue 4 (Spring 2013). I also swatchedfor Little Ancolie, out of Surnaturelle by La Droguerie. 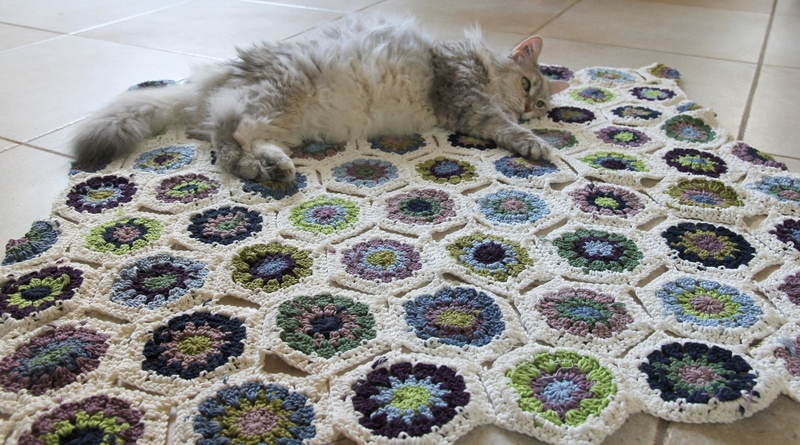 I finished making all the hexagons and half-hexagons on my hexagon blanket. Pattern is from the Attic24 blog. I used this diagram for the half-hexagons. I am using Drops Muskat, which is a mercerised cotton DK. 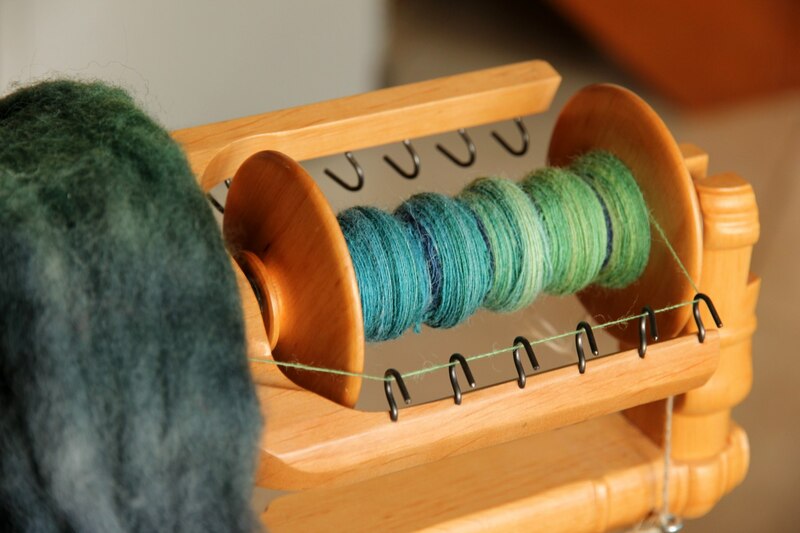 – I finished spinning and started plying the Whitefaced Woodland from Woolforbrains (above). 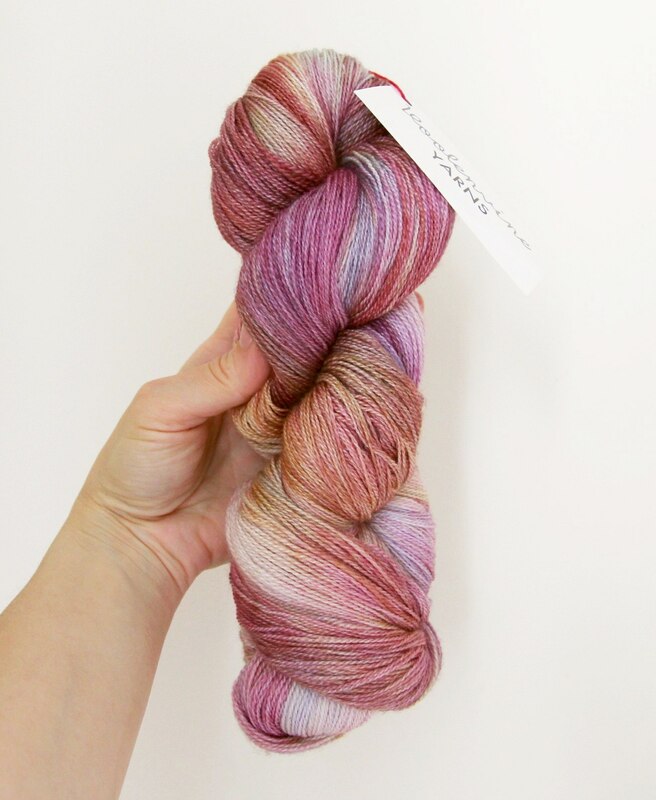 – I spun a braid of Abalone BFL and Silk from Sara’s Texture Crafts, out of her Colour Club 1 from early 2015. Subscriptions to Colour Club 2 are now open; the theme is Impressionism. 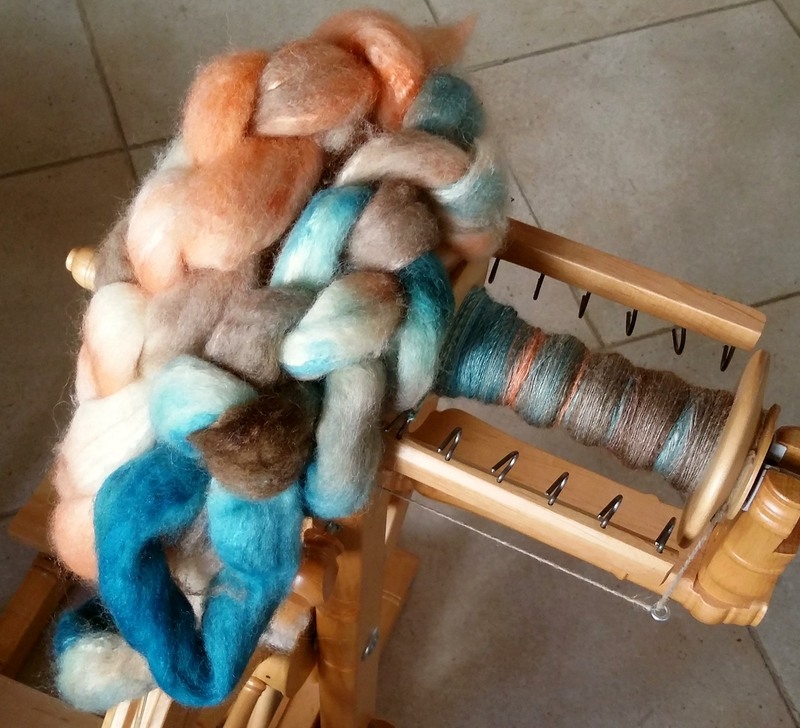 – My goals for Tour de Fleece are to spin as many minis from Fondant Fibre as possible. 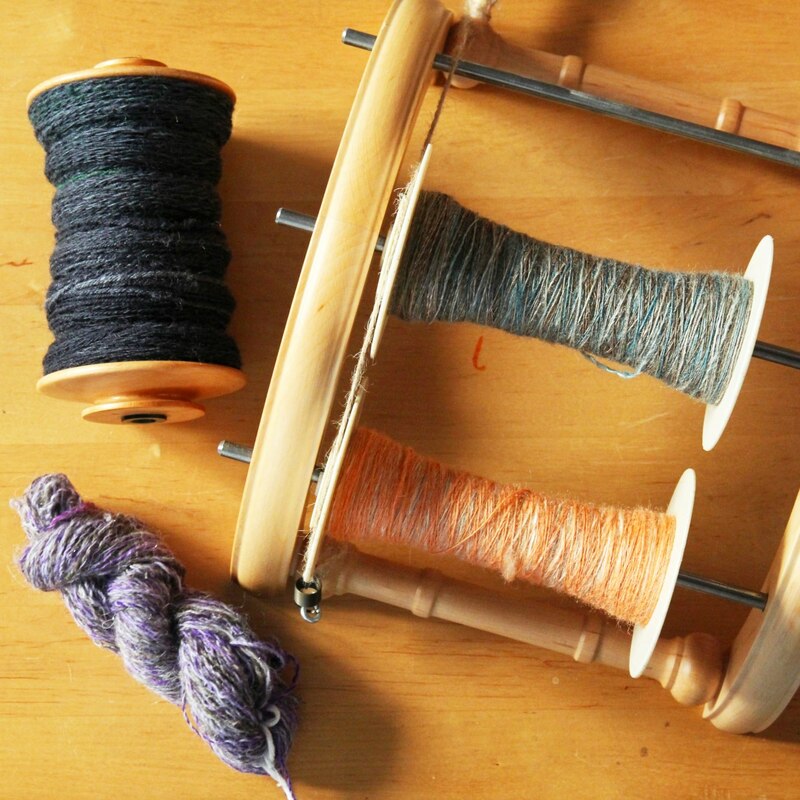 Winners for the Verdure Knitalong and the 600 members giveaway have been announced. Voolenvine Yarns sent a prize for the podcast – thank you so much Kristin! Katrina (nellie1001) sent lovely prizes and gifts as well. Thank you so much Katrina!